Festivus Poles. Close-Talker Mascot. The Soup Nazi. Yada, Yada, Yada. Players took batting practice in puffy pirate shirts. A fan reeled in a slice of marble rye bread with a fishing rod from the suite level. George Costanza announced the third inning. And the first 3,000 attendees at the temporarily renamed Vandelay Industries Park received a Keith Hernandez “Magic Loogie” bobblehead. On Saturday, tall, bearded, thick-necked men hacked at pine logs with axes and chain saws to determine who was the best lumberjack in the United States. The contest is part of the Stihl Timbersports series and, seeking more publicity on its 30th anniversary, the competition was held in Central Park. For his final boxing match on Saturday night, Todd Velten wanted to savor everything. “I want to pay attention, to hear the crowd and hear the yells,” Velten said before the bout. Velten fought in the 32nd annual Battle of the Badges between New York City's fire and police departments. Welcome to DigiFest NYC, part of a booming corner of entertainment where social media stars — people who have created mass followings on YouTube, Instagram and Vine — step out from behind their bedroom webcams. Shannon Scott said he and his fellow Ohio State guard Aaron Craft share something of a sixth sense, what he calls a “turnover sense.” When one of them harasses an opponent, the other can sense the turnover coming. Simona Halep's emergence has been sneaky and sudden, just like the other Romanian women on the tour. Five rank in the top 75: Sorana Cirstea (22), Monica Niculescu (42), Alexandra Cadantu (73) and Irina-Camelia Begu (74). Ivan Nova is channeling his spirit animal. “I have to be a león,” he is telling himself these days. Be a lion. Nova struggled for most of this season, bouncing from the rotation to the minors to the bullpen to a spot start on Old-Timers’ Day. Heavy rain at the United States Open on Monday left hundreds of fans upset after a delay of four and a half hours led tournament officials to move a marquee matchup and to cancel another. More than 300 people lined up outside Armstrong. On a day when the Yankees scored two runs in the bottom of the ninth to steal a 3-2 victory from the Orioles, they received significant and potentially positive news involving Derek Jeter, who is recovering from a twice-fractured left ankle. Before the season, Jon Niese stood out as a model of consistency and the logical choice as the Mets ace. But after another dreadful performance on Saturday , Niese will have to regain his reputation for dependability. Lyle Overbay laughed when he was compared with Derek Jeter. The notion that he — a 36-year-old first baseman long removed from his best years — could fill the void left by Jeter made him giggle. Crowded by spectators, confronted by more than a dozen cameras and stuck underneath a rig of lights, Don Larsen sat stiffly at the Yogi Berra Museum in Little Falls, N.J., on Monday afternoon. Then the man who had leaped into his arms to celebrate his perfect game in the 1956 World Series entered the room. U.S.C. 42, SYRACUSE 29: Storm and Syracuse Can’t Stop No. 2 U.S.C. The offenses of Southern California and Syracuse were expected to put on passing clinics at MetLife Stadium on Saturday. Instead, the offenses were for the most part stiff and inconsistent and the aerial spectacle was torrential rains. Serena Williams shouts, shrieks, squats, slouches, grimaces, huffs and puffs, grits her teeth and purses her lips and, on occasion, stares into her racket as if it were a mirror magnifying every little wrinkle and imperfection. And this is when she is winning. Such is the agony and the ecstasy of Williams. A between-the-legs trick shot may have kept alive the Bryan brothers’ chances of winning their fifth United States Open title. By the time Mardy Fish defeated Gilles Simon, 6-1, 5-7, 7-6 (5), 6-3, three of his fellow American men had been eliminated and Sloane Stephens had lost to Ana Ivanovic for the second consecutive year. When Maria Sharapova and Nadia Petrova met at the net for the coin toss before their match Sunday night, it was hard to tell which player was more focused. As if it were not enough to have to face Andy Roddick the day after he announced his retirement, Bernard Tomic had a tough act to follow even entering Arthur Ashe Stadium on Friday night. FLORHAM PARK, N.J. — The Jets and the Rams thought that by swapping tackles, each could salvage an underperforming player and improve in pass protection. Kim Clijsters’s singles career is over, Andy Roddick will retire after the United States Open and fans lost another Open darling early Friday morning when Venus Williams fell to Angelique Kerber of Germany, 6-2, 5-7, 7-5. PAWTUCKET, R.I. — An hour before first pitch on Saturday, the Mets pitching prospect Matt Harvey approached outfielder Jason Bay. Bay joined Buffalo to continue his rehabilitation after sustaining a concussion in mid-June. It only takes a few misplays to squander a sizable lead in baseball. A single and a fielding mishap there, a pitch up in the zone sent over the fence — all in a few minutes — spoiled what had been a big week for the Mets. Ten hours after the Knicks cut ties with Jeremy Lin on Tuesday night, the Nets on Wednesday held a nice-that-you’re-still-around news conference for the 7-footer Brook Lopez, who has signed a four-year, $60.8 million deal with the team. Reliever Tim Byrdak said he knew the Mets would beat the Yankees on Friday for their fourth straight win. Byrdak had someone purchase a live chicken in Chinatown for $8. ROCKIES 3, METS 1: Amid Plans to Limit Him, Santana Faces an M.R.I. The Mets have done their best to manage Johan Santana's injuries and expectations, leaving open the possibility of shutting him down for the season. The Mets’ clubhouse was all laughs before Saturday’s game against the Yankees. Left out of the shenanigans was Jason Bay, who addressed the serious subject matter of the concussion that landed him on the disabled list. As she stood in front of a dance studio mirror, Shirley Koehler struggled to keep up with a barrage of instructions from the choreographer: spin and stomp, twirl, nod and flex. And finally, slap your backside. At stake was a spot on the Timeless Torches, a dancing troupe tied to the New York Liberty of the W.N.B.A. When it was decided that Nazareth High School in East Flatbush, Brooklyn, would close in June, the players on the school’s nationally ranked girls basketball team thought they were leaving their school with a final championship send-off. But on Wednesday the Lady Kingsmen found out they will be back to defend their title in 2013. NEWARK — As the war for leverage raged on between the Magic and Dwight Howard with less than a day before the N.B.A.’s trade deadline, the Nets — a hopeful suitor for Howard — won by 98-84 over the Toronto Raptors on Wednesday night. NEW HAVEN — After two quarters of quick scoring that suggested that Saturday’s Harvard-Yale game would be an exciting addition to the 128-game rivalry, the festive mood at The Game became one of confusion and then seriousness. As the players left the field for halftime, the public-address announcer informed the crowd of a “terrible” car accident that occurred outside Yale Bowl a few hours before the game. 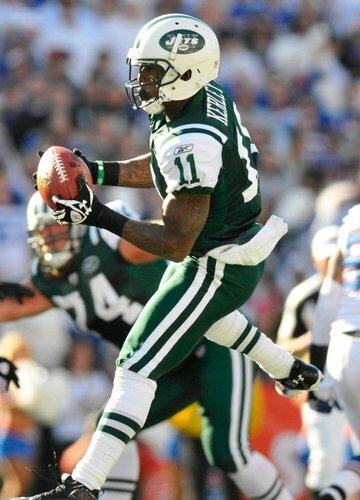 FLORHAM PARK, N.J. — Wearing sweat pants, gloves and a thermal turtleneck, Jeremy Kerley was prepared for the coldest practice of the week Friday. FLORHAM PARK, N.J. — It is good to have a short memory in the N.F.L. For the Jets, who play Thursday night against the Denver Broncos, their two-and-a-half-day turnaround is the quickest way to move beyond their sobering 37-16 loss to the New England Patriots on Sunday night.